The ancient city of Nahavand in western Iran is one of Iran's leading rug-proveniences. 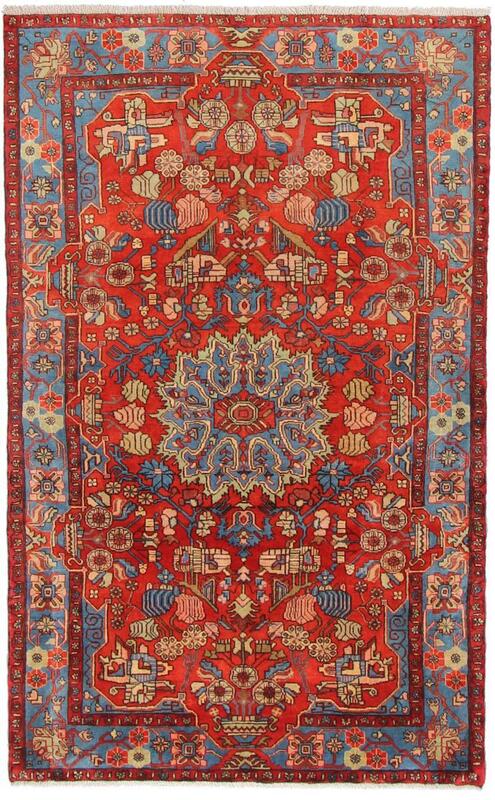 It produces high quality Persian rugs, which have a very good reputation. Usually a very shiny wool is used, which gives the patterns and design of the carpet a strong personality. The robust carpets have a retilinear design, partly inspired by nomadic rugs. A central centre medallion sets the tone in many cases. It is decorated with leaf, flower and branch motifs. It is framed by floral patterns that are stylized. Vases, for example, are a popular motif. The beautifully combined colours mostly consist of red and beige tones, which unfold on a blue background. 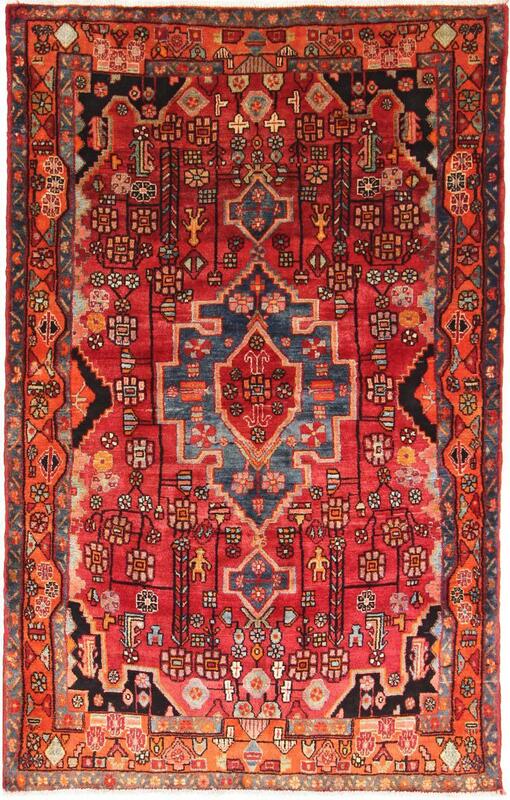 These rugs have been provided from an assortment of over 50 Nahavand rugs by Nain Trading from Hamburg. Hamburg, Germany is still the most important hub for the trade of oriental rugs in the Western World with Nain Trading offering one of the largest assortments of handmade oriental carpets worldwide. Location - where is Nahavand located? Nahavand is located in the western part of Iran. The city of Hamadan is in the immediate vicinity, which is why the carpets are often similar in design.